With over one billion users, I guarantee that your audience is on Facebook. However, creating a high-converting Facebook ad isn’t as easy as you would think. If you don’t know what you’re doing, you can end up wasting lots of money as you try to navigate the somewhat murky waters of online advertising. After all, you’re dealing with relevance scores, reach, click-through rates, and a host of other potentially unfamiliar terms. 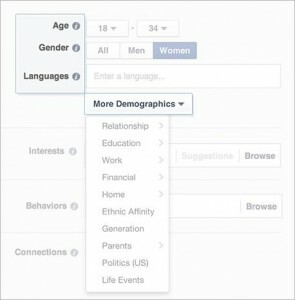 Facebook does offer some help, but given the fact that they want your money more than anything else, they can’t exactly be called unbiased. That’s where I come in. 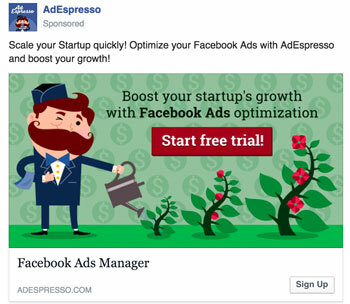 Here are 5 tips for creating high-powered, high-converting Facebook ads. The beauty of Facebook is that it allows you to precisely target your ad audience. Standard advertising, such as print or billboard, relies on the exposure approach, in which an ad is put in front of as many eyeballs as possible with the hopes of reaching the right crowd. The company is sitting atop billions, if not trillions, of pieces of data and they make some of that data available to you as an advertiser. 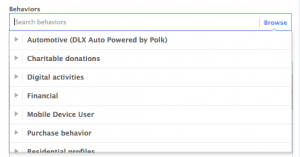 Upload your email list. This allows you to target those who have already opted into what you have to offer. Select individuals who have already “Liked” your brand Facebook page. Obviously, if they’ve liked your page they will be receptive to ads coming from you. Select individuals who have “Liked” pages similar to yours. If they like pages similar to yours, there’s a good chance they’ll be receptive to ads from you. Select individuals who meet specific demographics. This is particularly relevant if you are offering a product geared towards only men or women, or only young people, or any other specific demographic. 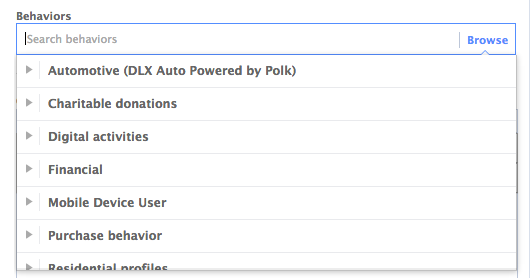 Select individuals based on where they are located geographically. This is especially useful if you are a local business targeting individuals in your area. Select individuals whose “behaviors” match your product. 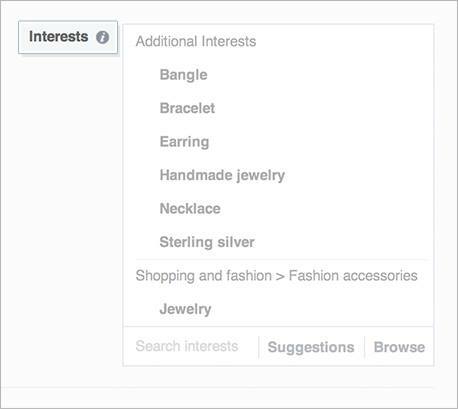 Select based upon specific “interests”. 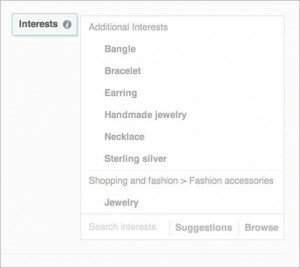 If you know your target audience is interested in baseball or blogging or jewelry, you can target them specifically. The main takeaway? The more precisely you can target your audience, the more effective your ad will be. The most effective Facebook ads are those with striking visuals that stand out from the thousands of other posts battling for attention. Science backs this up, showing how over 90% of information transmitted to the brain is visual in nature. The picture immediately captures the eye, drawing the viewer first to the image and then down to the text below the image. The unfortunate reality is that your ad is competing with cat videos, memes, and thousands of other visuals. To make your ad stand out, choose an image that is striking and can immediately capture the interest of your audience. If you don’t find your visuals attractive, why would others draw attention to it? 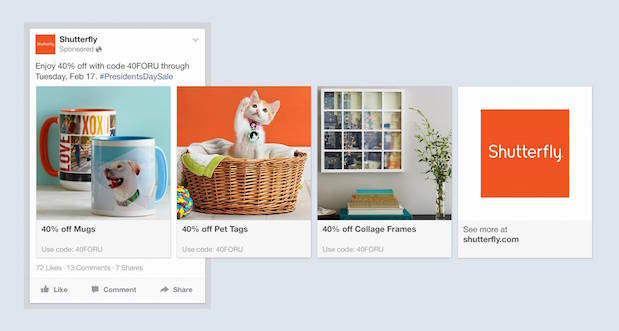 To truly unleash the power of images, consider using the relatively new “Carousel” style ads on Facebook. These ads allow you to upload several images, which are then displayed to users. When creating your ad, make sure that your offer is crystal clear. If you’re offering a free trial for your software, make that clear either in your headline or on the image you’re using. If you’re offering a free PDF guide, make sure viewers understand exactly what they’re getting. Their offer of a free trial is crystal clear, right on the image. There is absolutely no doubt about what is being offered. Another reason to make your offer clear is that it engages with the psychology of the viewer. When they see “FREE” or any other word you use to promote your offer, their brain and heart engages. Suddenly they want whatever it is you have to offer. 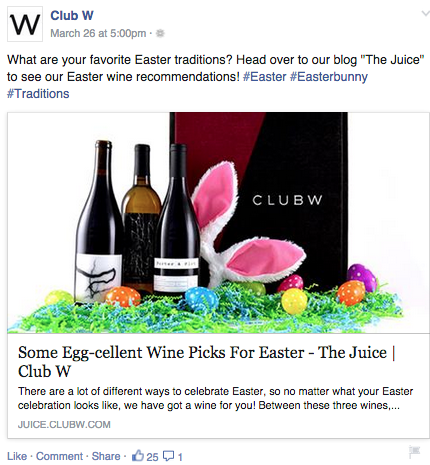 One way to quickly gain the trust of viewers is to prominently add social proof to your ad. If your business has helped 20,000 people create new websites, put that on your ad! If you’ve helped people lose over 10,000 pounds in total, make that clear! People are inherently suspicious of advertisers. Social proof undercuts suspicion by backing up your claims. Notice how they highlight the fact that they’ve helped over 100,000 business? Smart, right? 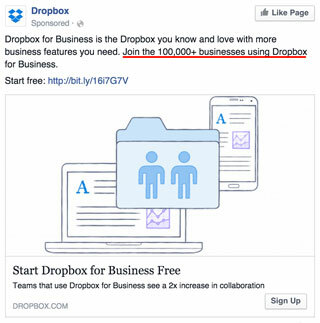 100,000 people can’t be wrong and Dropbox wants to make sure that the viewer is clear on just how many people they’ve helped. 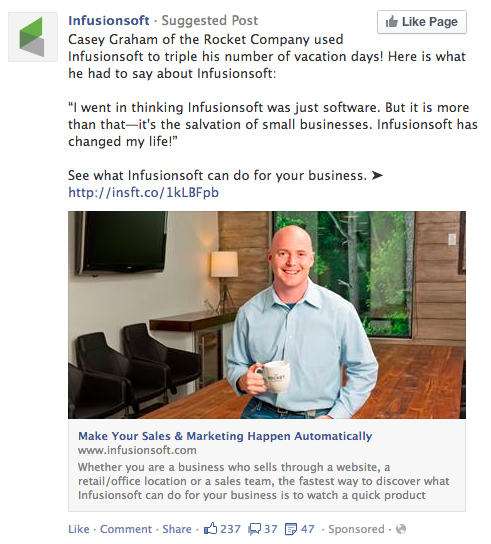 It’s not arrogant to add social proof to your ads. Rather, it enables you to create a trust relationship with them. It’s not enough to splash a picture of your product in front of potential customers and expect them to immediately pull out their wallets. You need a clear, compelling, irresistible call-to-action in your ads to get customers moving. Use strong verbs like “claim”, “reserve”, “get”, and “try” in order to raise your conversion rate. The call-to-action verb is “see” – a strong verb that drives the user to action. Yes, Facebook advertising can be a bit intimidating and confusing. But with a few simple tweaks and tips, you can create high-powered, high-converting Facebook ads that drive up your clicks and revenues. Now get out there and start creating those ads! Ricky Law is the blog editor for LCN.com, a UK based web hosting company. Ricky has been working in the industry for almost 7 years now and has written well over 100 guest posts for some of the world's top marketing websites (including this one)! Thank you so much to TechWyse and Ricky Law for an awesome article that I know will help and inspire us all to come up with fantasticads to post on Facebook. I, myself, have to post ads on Facebook as well as on fan pages from 2 completely different spectrum’s and your arcticle here will definitely help me immensely. Thank you so much! So.. for a small to middle sized business, this involves a major outlay in expenditures. Not only for the actual Facebook time, but the cost of producing these lovely images, or 3D images, or computer generated images must be astounding. Note that this cost is in either money or time. Please note that I agree with all of these, it’s just very costly to do something like this correctly.